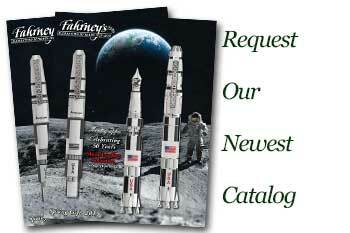 Order your Sheaffer Taranis Chrome Trim Ballpoint Pen today from FahrneysPens.com. Fine Pens, Refills & Luxurious Gifts – great prices & fast shipping. The Sheaffer Taranis Ballpoint Pen continues the Sheaffer legacy that spans over 100 years with an elegant design that merges history with modern technology. Sheaffer Pen's history is an authentic American tale inspired by craftsmanship, originality and value. In 1912, Walter A. Sheaffer risked his life savings to start the company, believing that his invention, the first practical lever-filling fountain pen, was better than anything on the market. The Taranis Ballpoint Pen was designed by renowned U.S architect Charles Debbas, the groundbreaking pen is named after the Celtic God of Thunder echoing its power and sleek style. Taranis features a unique patent-pending grip design that integrates resin with the strength of metal. Its elongated clip has an internal spring for great flexibility and firm pocket placement. Steal some thunder with this smooth-writing twist ballpoint pen at a great price while supplies last!